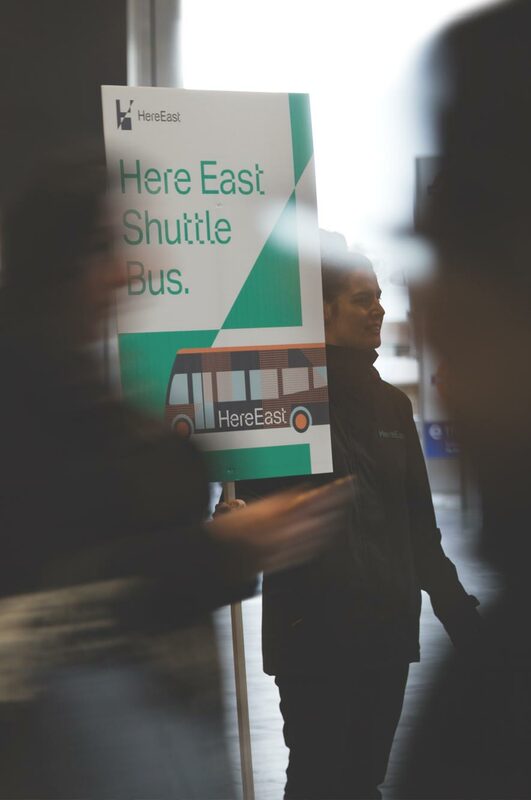 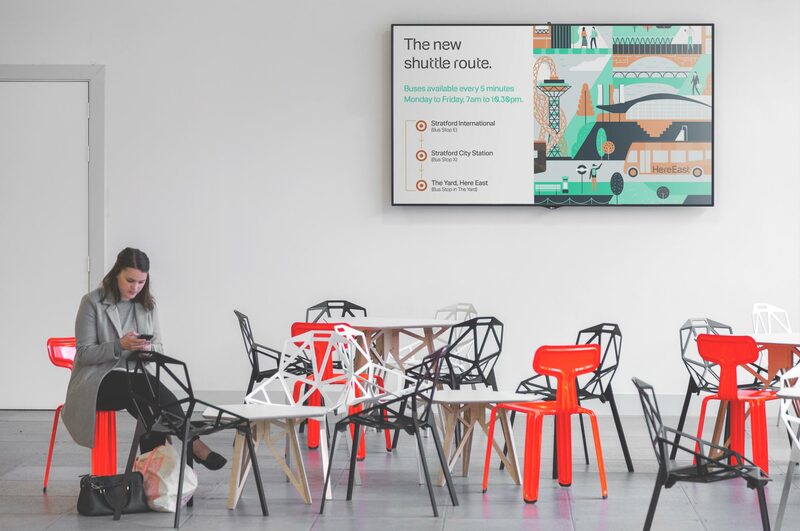 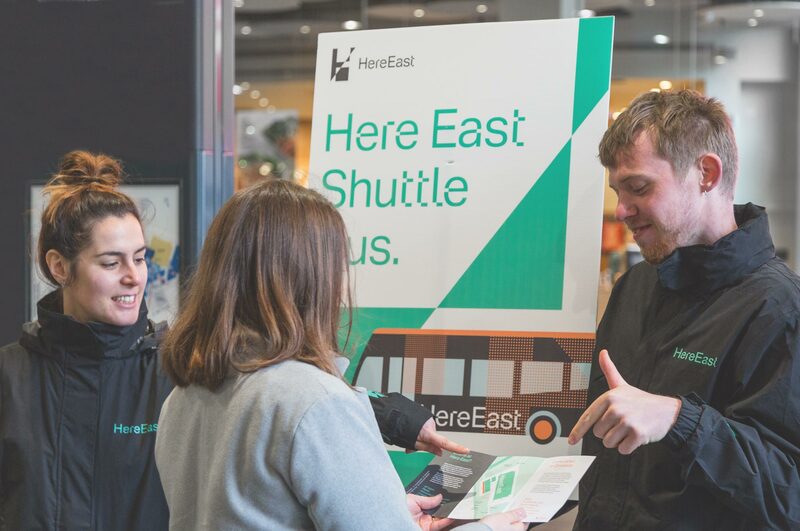 London’s Olympic technology hub, Here East, launched a new bus shuttle service between their campus, Stratford International and Stratford Station. 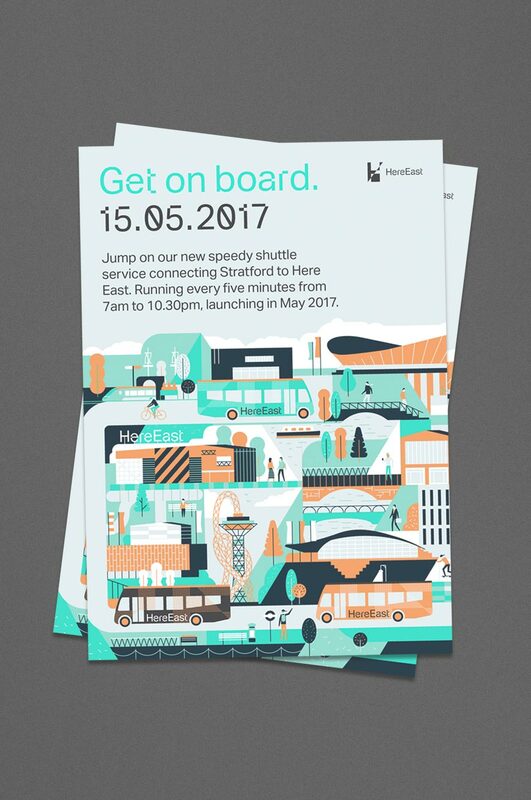 WeDesign designed a range of communication to help promote the new service and make people aware of its new pick-up and drop-off locations. 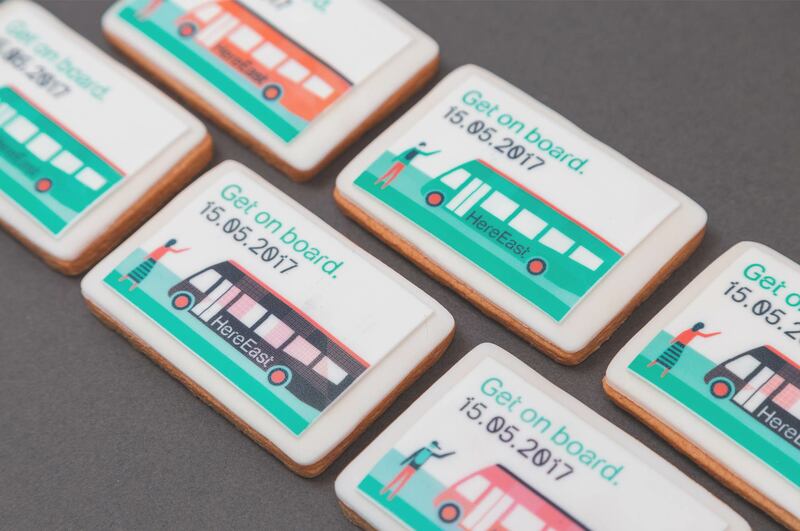 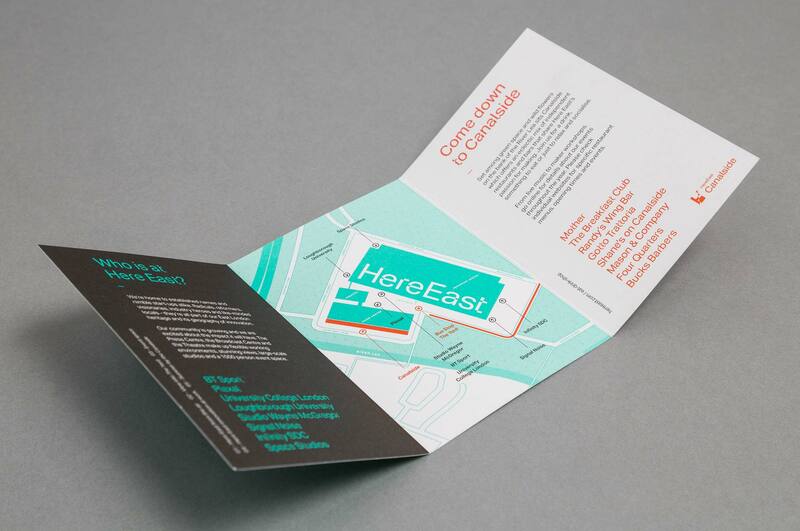 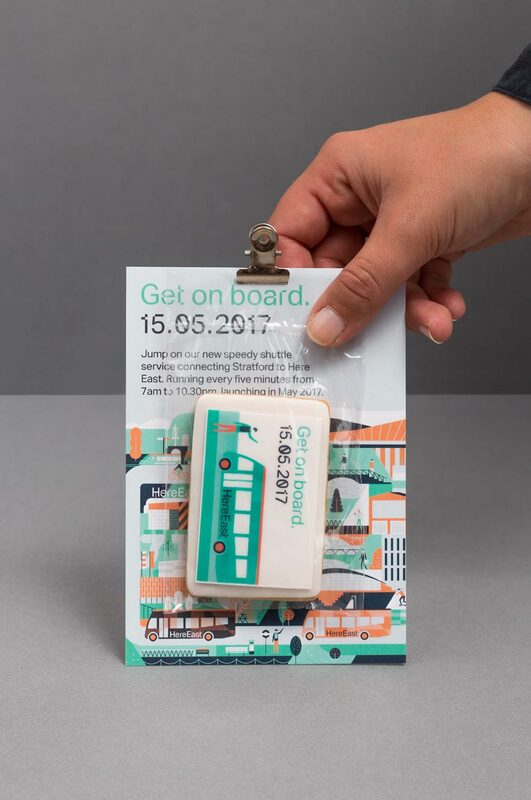 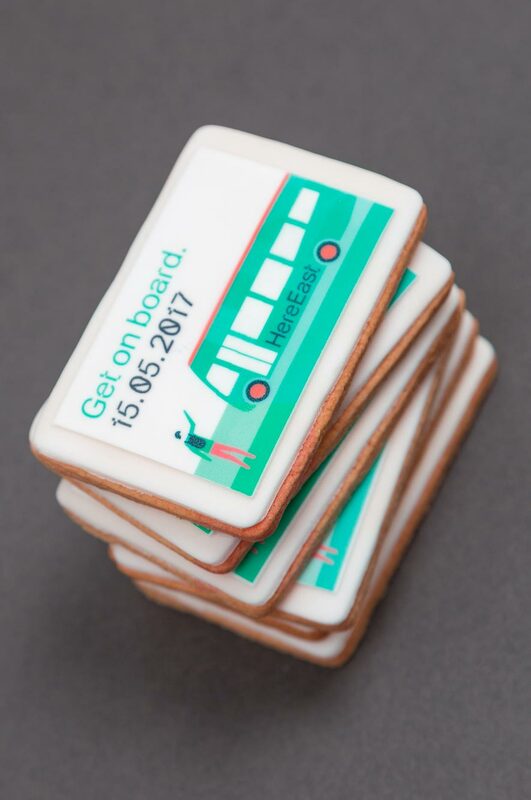 We produced a range of communications including an animation, flyers and large promotional boards for the launch day, as well as 500 commissioned biscuits to engage with the current tenants at Here East.